My family ordered this dish at Maggiano and I thought I’d give it a try at home…vegetarian, of course. 1) In large sauce pan, heat olive oil and butter on medium-high heat. Add onion or shallots and sauté a couple of minutes. 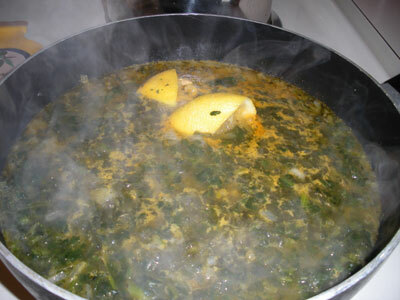 2) Add broth, wine, capers and parsley. Squeeze lemon into sauce. Add parsley and salt and pepper. Bring to a quick boil, then reduce heat to simmer. 4) Cook chicken cutlets according to package directions. 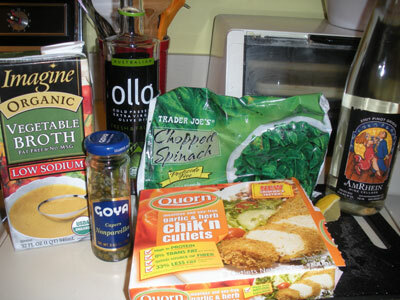 The Quorn Garlic and Herb chicken cutlets cook at 425 degrees for 20 minutes. 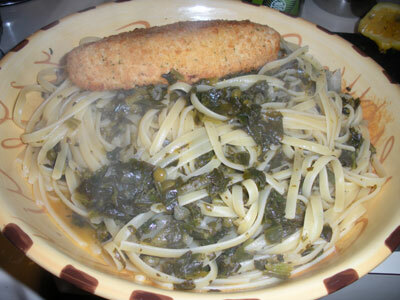 5) Toss sauce with linguine or your favorite pasta and top with mock chicken cutlet.